To be recommended, quick delivery, outstanding packing, and a good product. Would not hesitate to buy another. Eddie ???? this item was delivered spot on time, and I am very pleased with the battery. Many thanks for the great service. Always a good reliable battery with a great life. A 7.5'' battery needs 1'' packing underneath, this one needed 0.5''. Finding a 7'' battery is very difficult.Later models take 7.5'' as standard(I think). Delivery was excellent. Great service, very prompt, well packaged, and the best value I could find anywhere! thanks! A compact and well packaged battery delivered by return. Pricing was very competitive so let's hope it performs as anticipated. I was happy with the speed of delivery but I am very unhappy with being charge £14 pounds due to your mistake. 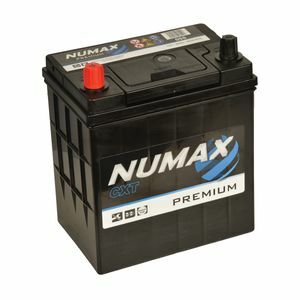 I put my car details into you website system and it brought up battery 055 which was the wrong size for my car so had to buy the correct battery 049 only to be told I would be charge £14 pounds for pick up. This is not on as your website informed me to buy a 055 battery!!!!! No idea - I bought the wrong battery (I don't know left from right) so now I have an unused battery sitting in my office. The only battery I could find that fits in my 1999 Mk 3 Reliant Robin. (If you want it for your Mk3 Robin you'll need to order a pair of lead collars to make up the terminal post size from Jap to UK-type.) Well packed and delivered very quickly at a very good price. The cheapest I could find anywhere on the internet. I'll be buying from Tayna again.